Comments: ALTERNATE EDITION: NEW > PLEASE READ >> NEW softcover marked ANNOTATED INSTRUCTOR'S EDITION. Same content as student text except with ANSWERS & TEACHING tips. DAILY SHIPPING! 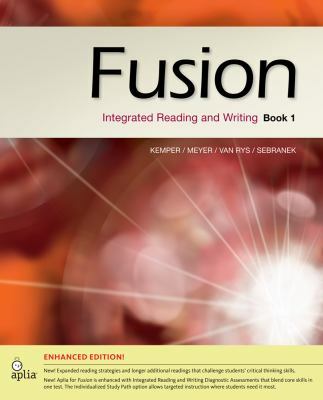 John Van Rys is the author of 'Fusion Book 1, Enhanced Edition: Integrated Reading and Writing', published 2014 under ISBN 9781285464992 and ISBN 1285464990. Loading marketplace prices 15 copies from $4.95 How does the rental process work?